Daniel F. Duncan is universally recognized as a Master Cabinet Maker and has received honors and awards from woodworking and crafts organizations. But Dan receives his greatest satisfaction from knowing his clients will treasure the products he creates every time they walk through their home. Upon meeting Dan, you are immediately put at ease by his friendly manner, which comes naturally from working with people from all walks of life – architects, interior design professionals, fellow woodworkers and, of course, hundreds of clients. You sense the confidence of a person who has mastered his craft, and while you may be surprised by Dan’s enthusiasm for discussing custom projects, you realize that here is a man doing the work he loves – and doing it as it was meant to be done. A typical Dan Duncan project begins with a conversation with clients. 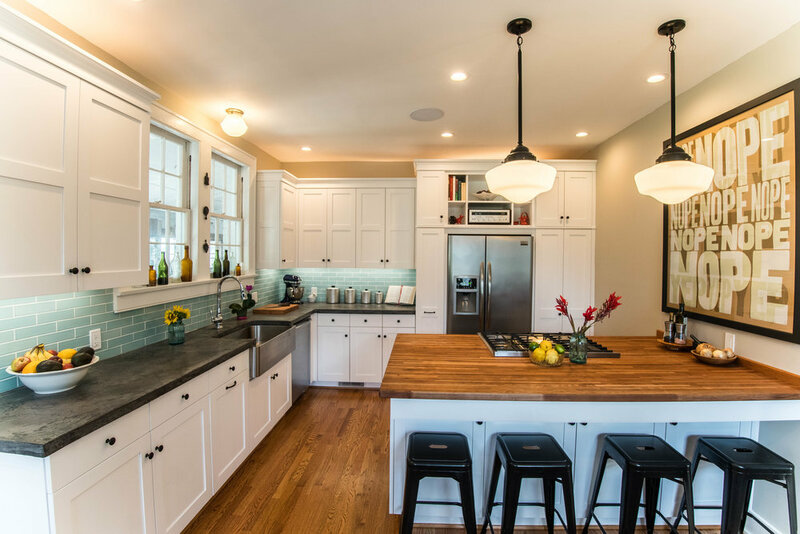 Dan then uses his beautifully detailed drawings, woodworking skills honed to a level few have achieved, top-quality materials, and machines he has mastered to make his clients’ dream kitchen become reality.